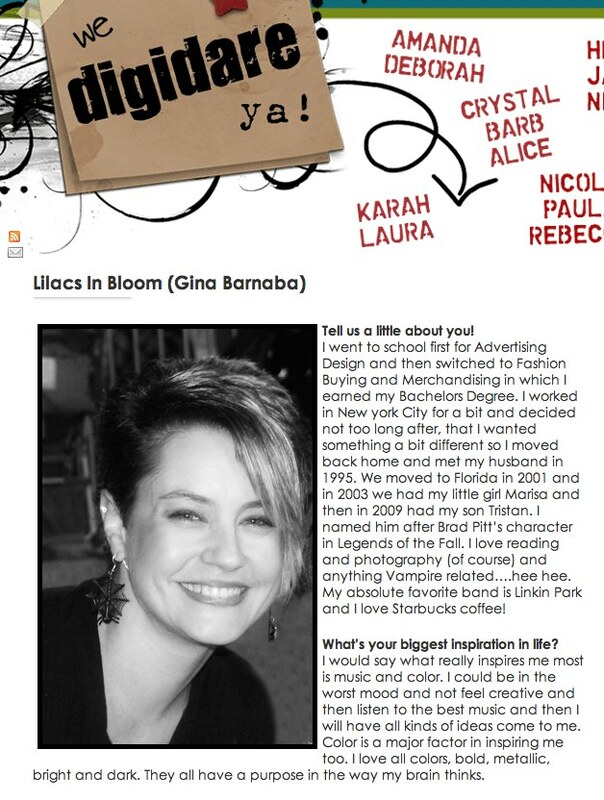 Lilacs In Bloom: I am this weeks Digi Dare Sponsor!!! Here is my page that I made for inspiration for the Dare! This was so much fun!! 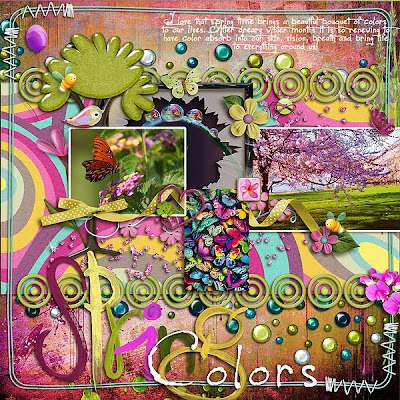 Journaling: I love that spring time brings a beautiful bouquet of colors to our lives. After dreary winter months it is so renewing to have color absorb into our skin, vision and breath and bring life to everything around us! 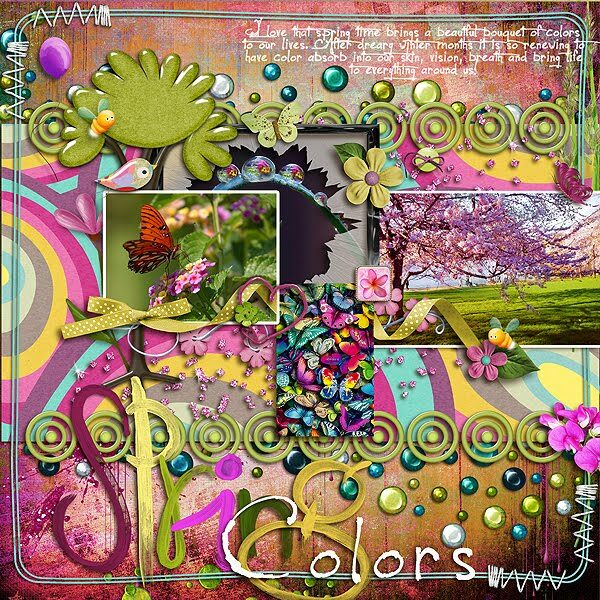 This week at The Digi Dares, there is a really fun dare using opposite colors on the color wheel, some bling and spring photos! Please stop over and check it out. The Dare is going on all week and I have a 35% off coupon for all participants. Can’t wait to see what you create! 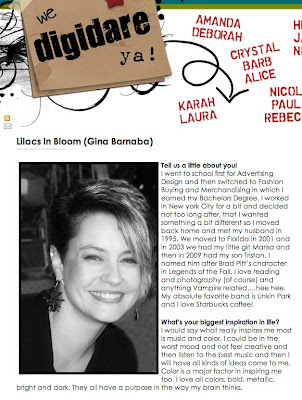 Lilacs in Bloom Digi Dares! !